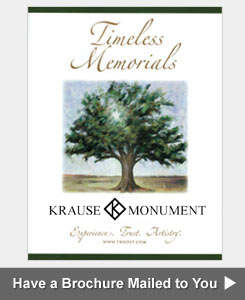 Krause Monument Company prides itself in its Civic and Veterans' projects. We work closely with municipalities and organizations to design a meaningful and appropriate memorial. 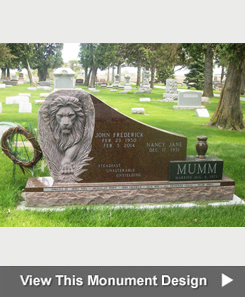 This includes specialized sculptures, detailed monuments and engraved commemorative bricks. 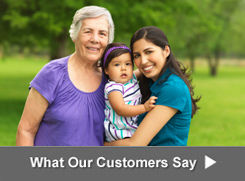 We can also create a sign for your business, organization, or subdivision. 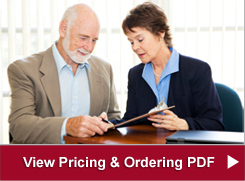 For additional information about signage products and services, click here to download a PDF with pictures and information. For more information, contact Kathy Showen, 608-637-7726 Fax: 608-637-7496, kathy.showen@krausemonument.com.